It’s time to redecorate. The [living, dining, bed] room is looking tired and outdated. Your walls need new paint and you’re thinking about replacing the carpet with hardwood or ceramic flooring. Of course, those 20-year-old draperies are showing signs of wear as well. Where do you begin? Do you rush out and choose a paint color and splash it on the walls? This gives you a fresh canvas for your new window treatments. Right? Not really! Paint is a relatively inexpensive and versatile home decorating tool. You can take a paint sample, piece of fabric or flooring to your paint store to be color matched. It is much more difficult to color match fabric to the paint already on your walls. Sunshine Drapery has a vast selection of fabrics available, but color choices are limited by the industry’s current color pallets. Even if you are choosing similar color ways, the hues can be all wrong and your ambition to redecorate can fizzle. We recommend you start redecorating with your large fabric purchases like window treatments and furniture. Our decorators and store consultants are here to help you select complementary fabrics for new treatments. If you are not starting with a clean slate (the sofa and wingback chair must stay), we can help you blend the old and the new fabrics for an updated look. Remember, fabric should always come first. Paint selection and installation can be completed while we’re making you those fabulous new window treatments. 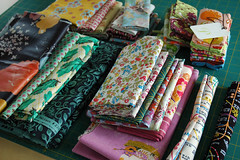 a vast selection of fabrics available!